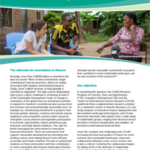 Issue 50 of Perspective, the CIRAD policy brief series, looks at the credibility of the Forest Stewardship Council (FSC) standard that will be increased if certain indicators and auditing practices are reviewed. This revision process will facilitate the work of the certification bodies and will clarify the adoption of practices by certified forestry companies. 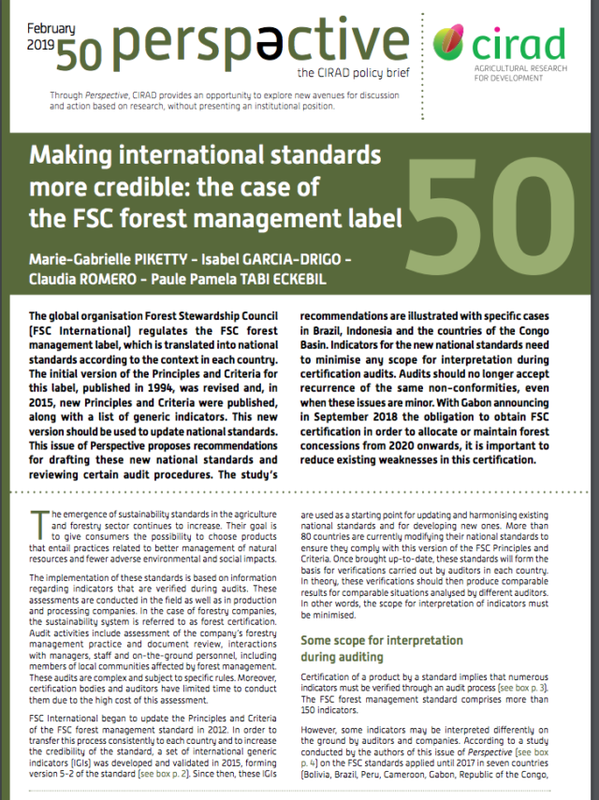 The global organisation FSC International regulates the FSC forest management label, which is translated into national standards according to the context in each country. The initial version of the Principles and Criteria for this label, published in 1994, was revised and, in 2015, new Principles and Criteria were published, along with a list of generic indicators. This new version should be used to update national standards. This issue of Perspective proposes recommendations for drafting these new national standards and reviewing certain audit procedures. The study’s recommendations are illustrated with specific cases in Brazil, Indonesia and the countries of the Congo Basin. Indicators for the new national standards need to minimise any scope for interpretation during certification audits. Audits should no longer accept recurrence of the same non-conformities, even when these issues are minor. 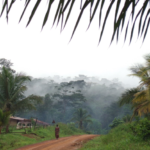 With Gabon announcing in September 2018 the obligation to obtain FSC certification in order to allocate or maintain forest concessions from 2020 onwards, it is important to reduce existing weaknesses in this certification. Access this publication in English. Access this publication in French.